There have been about 9 actors who have played Batman. Some where terrific in the role, while some were easy to forget. But in my opinion, Batman Actor Ben Affleck isn't one of the latter. The 46 year old star did play an impressive enough Gotham city Vigilante. Recently, when sharing the report that claimed the actor was leaving the franchise behind, Affleck added, "Excited for The Batman in Summer 2021 and to see Matt Reeves' vision come to life. Although Warner Bros. has yet to officially announce the new development, Affleck shared the article which more than hinted at his departure. This seemingly served as his official confirmation. It is unclear, however, if a future project which depicts a Bruce Wayne closer to Affleck's actual age could see the actor return to the coveted role...at least in some capacity. An incredible history. In case you've been living under a rock, Batman has been one of DC's most iconic characters, coming to life in various films dating all the way back to Adam West's Batman, back in the 1966 movie. Despite his pop culture prominence, the upcoming adventure, the latest in the installment, has been the source of much of fans' speculation. Despite unfavorable critical reviews of the last two films to feature the masked vigilante, its still one of the world's favorite superheroes. Man of Steel launched the shared universe in 2013, setting the mood of the upcoming series of superhero films. Ben Affleck debuted as Batman in Batman v Superman: Dawn of Justice, a film that was a box office smash, yet earned poor critical reviews. Batman was once again in the forefront with Justice League, earning similar dour reviews while failing to make a dent at the box office. Fans definitely took to him, and would have loved to see more of him in the role. 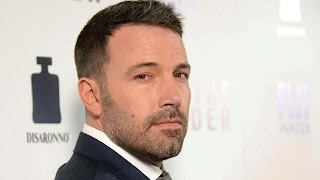 Bet after the the last movie, and amidst the negative reactions to the films, rumors began to circulate that Affleck planned to quietly leave the superhero series behind him and face other projects. He was initially attached to write and direct The Batman, yet he handed over creative leadership to Reeves, stating that it would be an exhausting endeavor trying to direct the film while also starring in it. Following Reeves' take over of the project, reports have claimed the film would for now, focus on a younger Bruce Wayne, likely needing a new actor to take over from Affleck. This may be one of the main reasons the actor may be hanging up his role, with no Batman-related projects confirmed for him in the near future. Earlier today, writer/director Reeves shared new details about his vision for The Batman. "What it will be called ultimately, I don't know. Aquaman is going to be very different from the Todd Phillips Joker movie, and that's going to be different from Shazam and Harley Quinn," Reeves shared with The Hollywood Reporter. "Warners believes they don't have to try to develop a giant slate that has to have all the plans for how it's going to connect. What they need to try and do is make good movies with these characters." I don't know about you, but in my opinion I feel Affleck was one of the few actors who was able to bring out the required depth that characterizes the Batman role. He is by no means the best Batman actor, but he sure did better than some.